Can I first wish you a great 2016! I hope the return to work hasn’t been too much of a shock to the system. Perhaps, console yourself with the happy thought of how slim you’ll soon be with that new gym membership. Ahem. Moving swiftly on, as they say; when we last spoke before the break , I shared some thoughts on how I saw 2015 as a year in our growth. 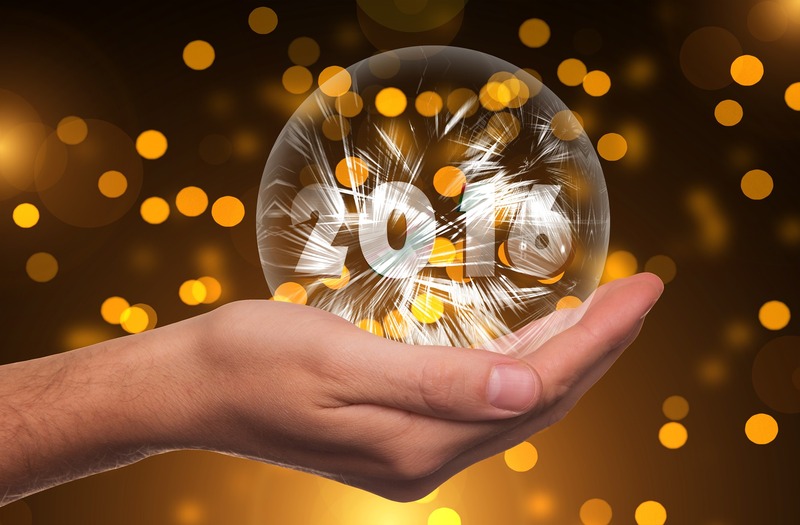 Well, this time, it’s a bit of crystal ball time: what does this bright young year of 2016 look to hold for us here? Here’s our take. We plan to consolidate and grow our opportunity in the health service, an absolutely vital market to us. We will grow our footprint in key Trusts but also extend our visibility with CCGs and other stakeholders. As we know, collaboration, cross-team and cross-organisation, is the route of travel here as part of both the Five Year Forward View but also the best response to a tough November Spending Review. Cash is the problem for the NHS right now, as we all know. The government’s given it a billion to help with technology, but most commentators are saying the service really needs a lot more to meet all its ambitions around the move to paperless. Meanwhile, it’s being asked to find at least £22bn (some say that’s really more like £24bn, considering some got pushed ‘ahead’ in the balance sheet of the 2010-15 efficiency drive) of savings. Technology has got to be central to that. And we expect to be in the thick of it: not just on the PACS supplement/replacement front, but in lots of things like storage; moving to putting more and more content and documentation in the cloud and off physical storage will save money by definition. We are also going to be making a quiet and very useful contribution helping to rationalise data out of various expensive or legacy silos, as is the case in 90% of Trusts, into more sensible common repository, based on our standards-centric stores. And finally, we expect a lot of interest for our recently-enhanced ConXPhoto service, which we rebranded ConXMedia at the end of last year . Trusts always needed to capture and store a lot of photos to help patients and track cases; that need’s never been greater, and now video and medical imagery’s being thrown in the mix too. As a result, I predict this area will become an important one to us – and also, of course, of genuine practical help to nurses, doctors, radiologists and administrators in the Trusts we work with, all of whom want to safely and efficiently store and manage this data asset. So – there are my best guesses for the next few months. Will I be proven right? Only one way to find out – let’s shake off the last of the festive merry-making and begin a busy and interesting 2016! This entry was tagged NHS, PACS by Carina Birt. Is Vendor Neutral Archiving the best building block for a digital patient record? October 30, 2015 – Tony Backhouse, the Head of the Health Practice at SynApps Solutions, has got some great attention in an important online business publication, Bdaily. The publication had asked him for his views on how the shake-up of England’s medical imaging market could open the door to achieving a true EPR. Tony was happy to guide readers on how VNA is a standards-based way of extending PACS (Picture Archiving and Communications System) services to incorporate DICOM and other format content. That, he advised, is going to be key to making the sharing of medical data easier for clinicians, as well as making patient records available across any combination of service providers. “All a VNA is really doing is to extend your proven, workhorse PACS systems by adding a new dimension to the medical images you already need to capture and share,” Tony says. “By applying a content management approach to your VNA-based medical records, you can make sharing medical data easier and more practical – as well as incorporating lifecycle management and retention policies to support information governance requirements using standard interfaces, which is what the Department of Health wants everyone in UK health informatics to be doing.